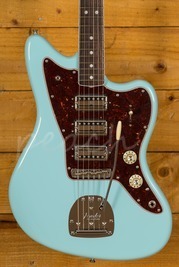 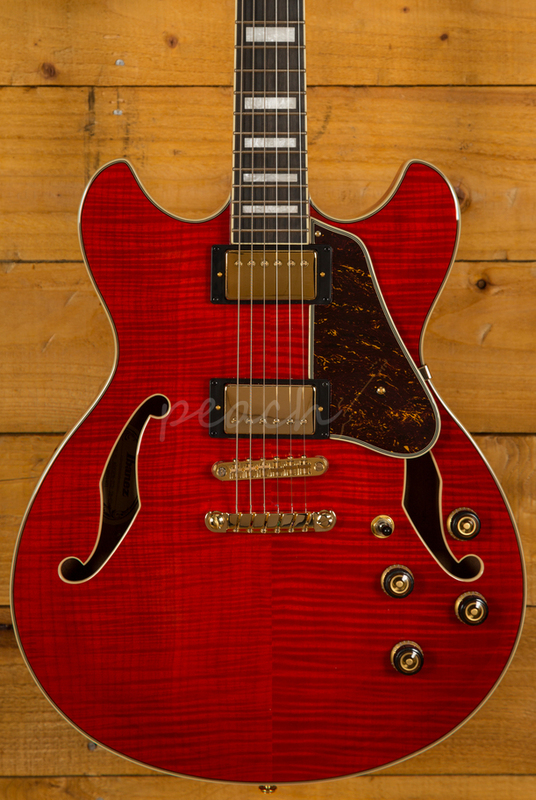 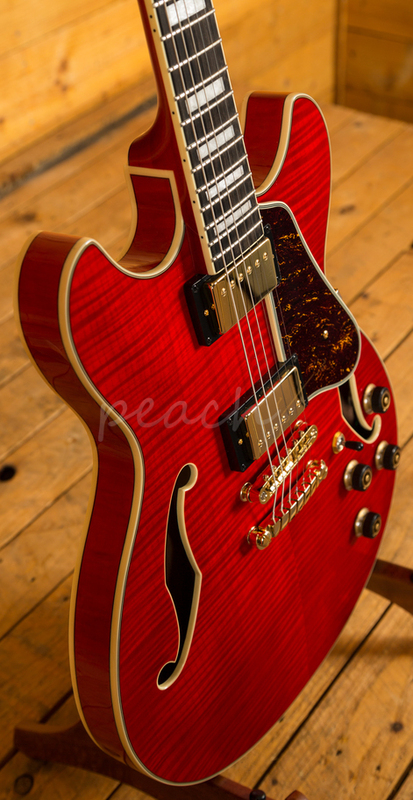 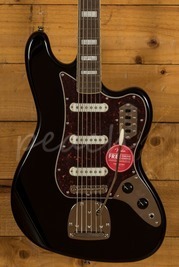 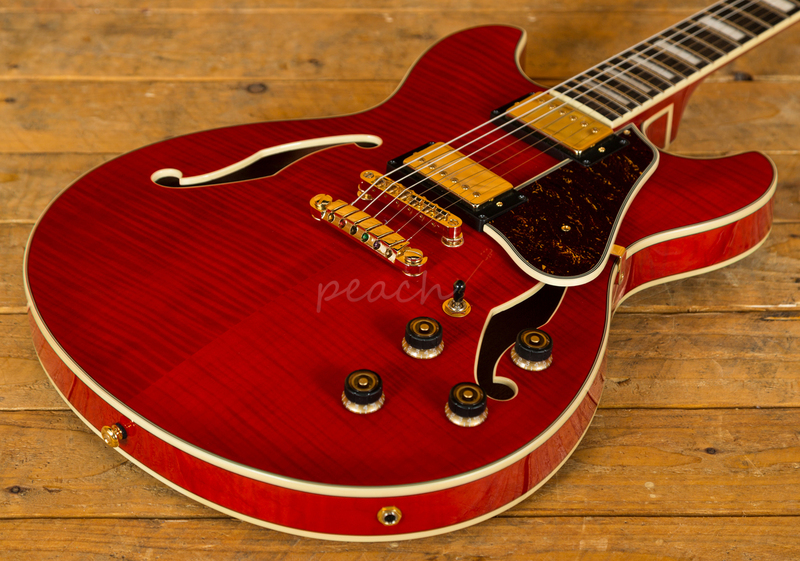 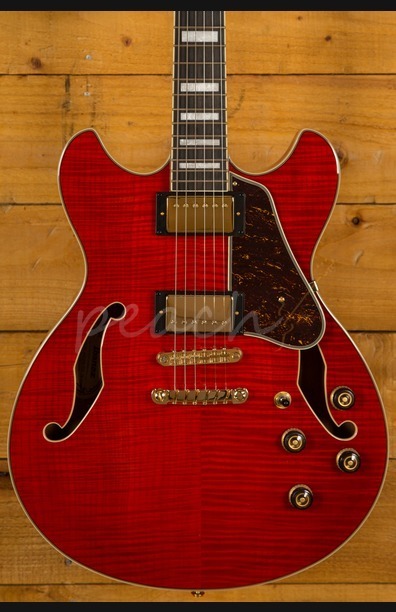 The Ibanez AS93FM-TCD in Transparent Cherry Red is a great addition to their roster. 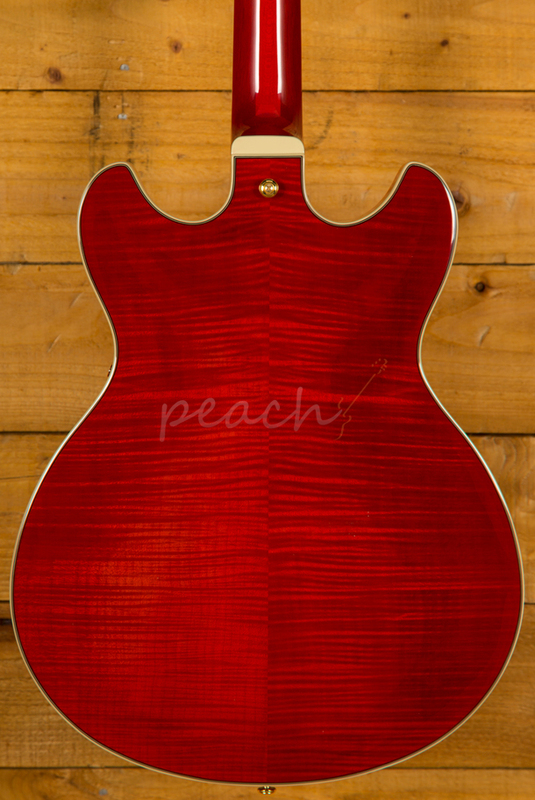 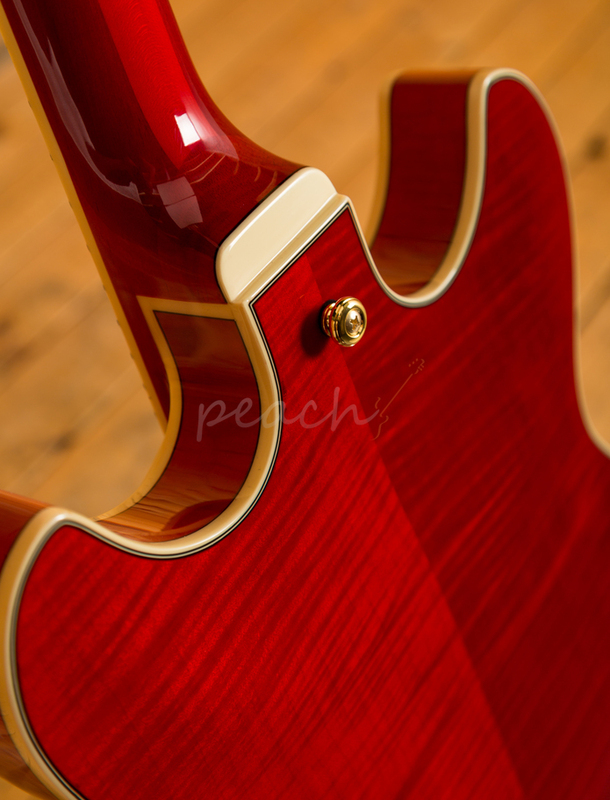 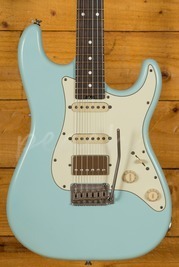 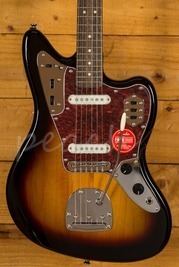 With a majestic Flame Maple top, back and sides this guitar looks absolutely stunning. 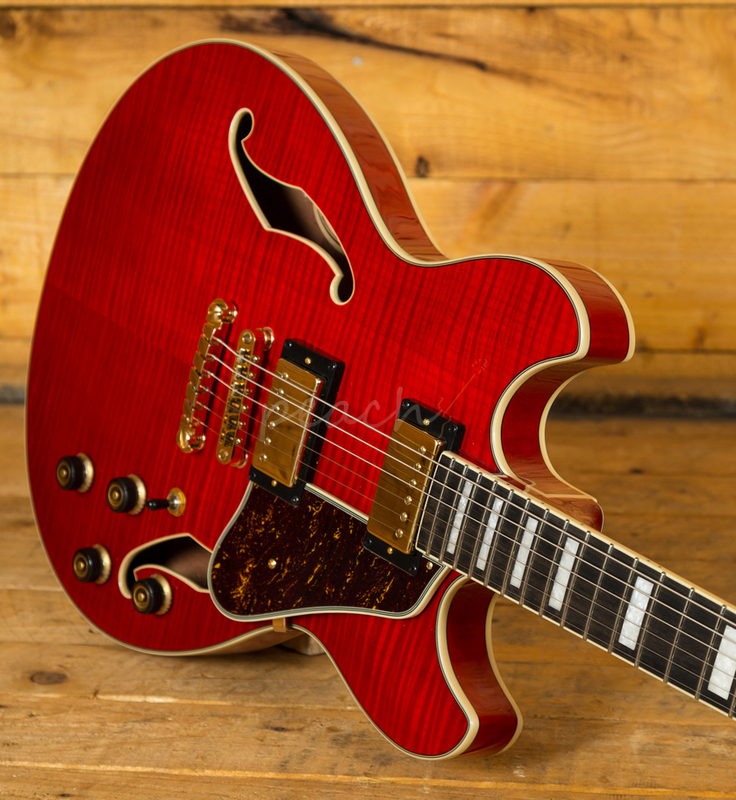 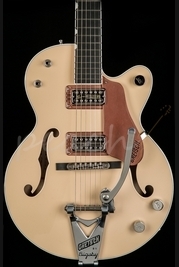 Capturing all the bite and resonance of a classic hollowbody the AS93 is perfectly suited to a wide range of styles.